Check out Tobi's Shay Bangle Bracelet Set Too much arm candy? There's no such thing. Add to your jewelry stacking options with the Gold Shay Bangle Bracelet Set, which includes eight slim rope texture bangles. We love these bangles worn together, or stacked with your other bracelets. Too much arm candy? There's no such thing. 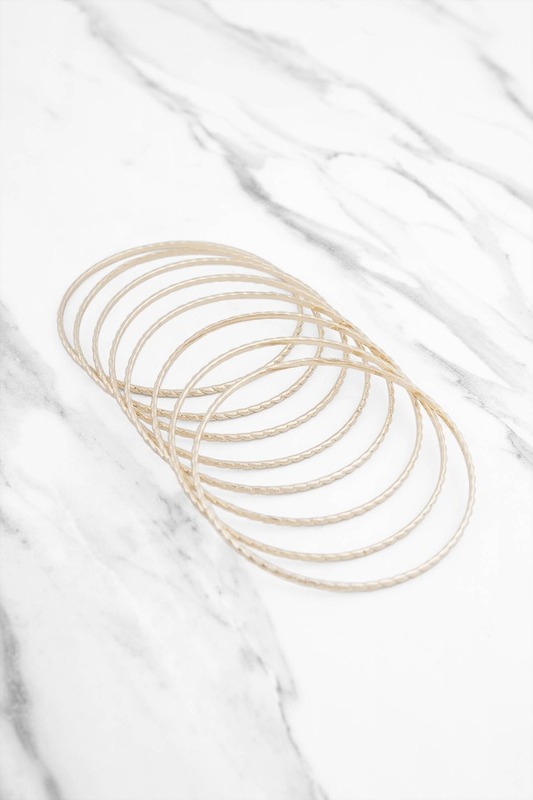 Add to your jewelry stacking options with the Gold Shay Bangle Bracelet Set, which includes eight slim rope texture bangles. We love these bangles worn together, or stacked with your other bracelets.